I have posted Chicken & Potatoes milk buns, chocolate milk buns and wholemeal milk buns using the same overnight sponge dough(milk) recipe. But I almost forgotten to post this basic and plain milk buns which I did much earlier than all these buns. 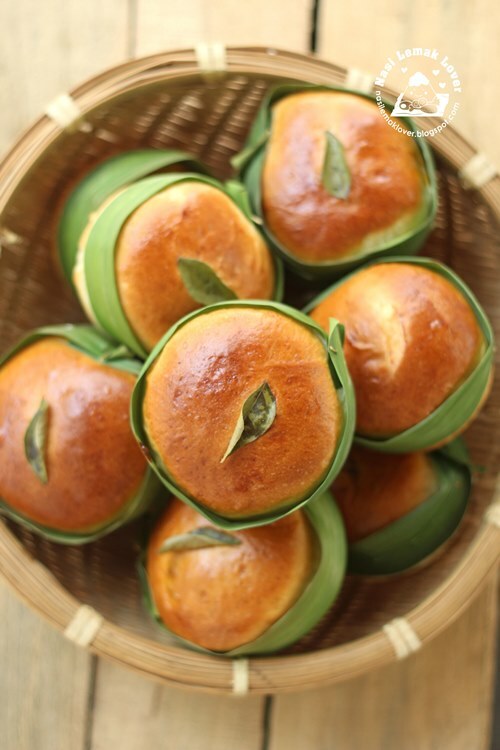 This very soft milk buns don't need much introduction, very popular among Chinese bloggers. 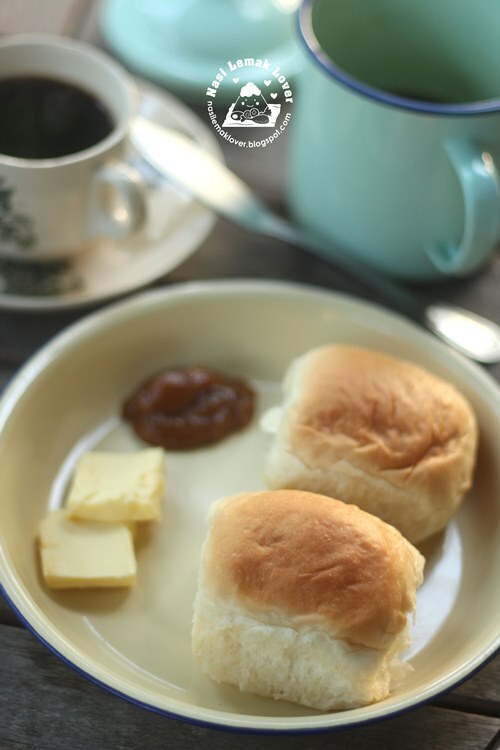 And this buns look so old fashioned like those served in kopitiam (local café) in the old time, serve together with kaya (coconut egg jam) and butter. Here come the last update of Roma. 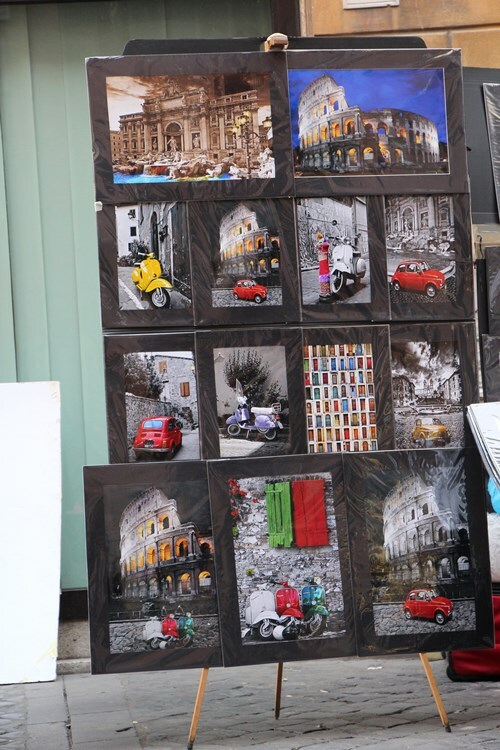 After Roma, the next destination is Venice. Since the Little Thumbs Up even is going to end in few days time, let me quickly post this steamed ginger clams so I can submit to this month theme " Ginger". 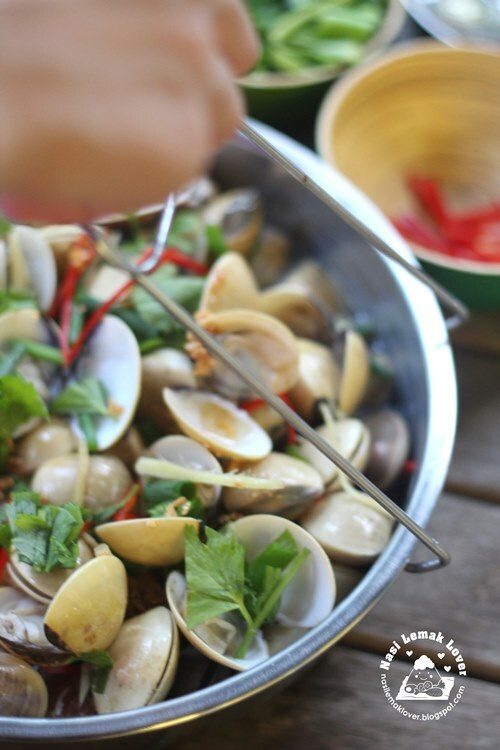 Ginger is an ingredient that you must not missed to add if you cook with any seafood as to get rid of fishy smell. Both my son Desmond and hubby also said that this Copycat KXC fried chicken tasted like the real KXC fried chicken original flavours ^_^. 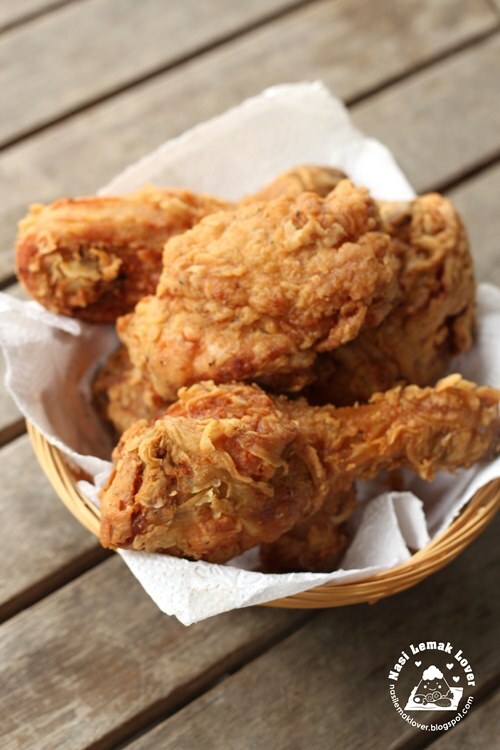 updated on 26 Jul 2013-i made changes to the title due to the fried chicken name is a registered trademark. 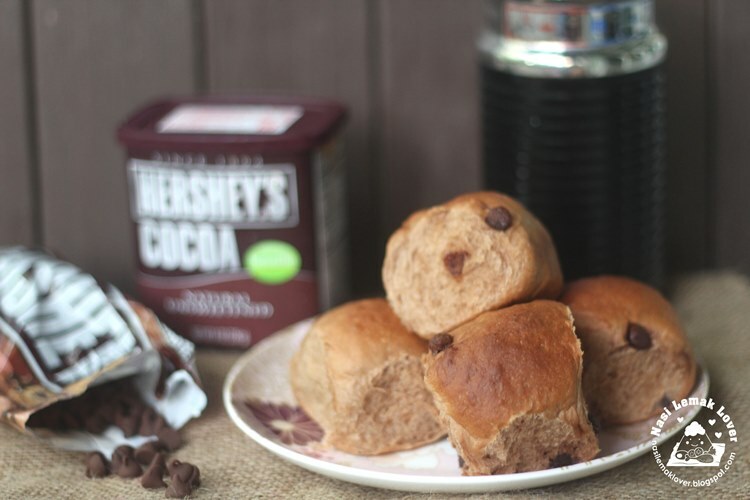 I remembered a reader asked me whether she can make the chocolate milk bun into wholemeal bread. Yes, we can make into wholemeal bread, and the bread stay soft and moist till the next day. 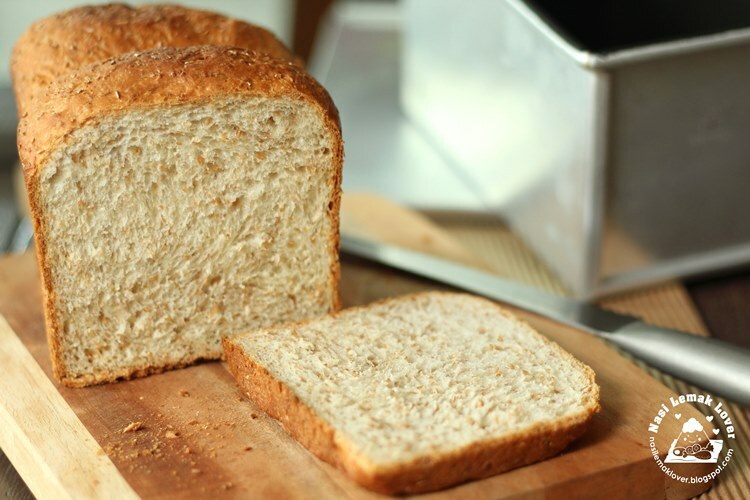 I am glad that my family can start to enjoy homemade wholemeal bread at home. A chicken wing comes with 3 parts :- the drumette, middle wing, and the tip (end) . After I cooked the middle wing and the drumette, left only the tips which not many peoples appreciate this especially the kids. But I like to chew the skin which is crunchy, chewy and tasty. 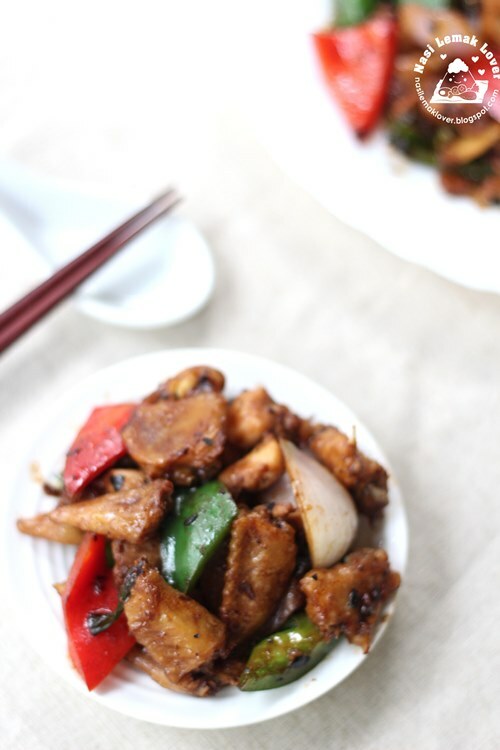 Usually I just deep fry it but this time I simply stir fried with salted soy bean, it was tasty and delicious! 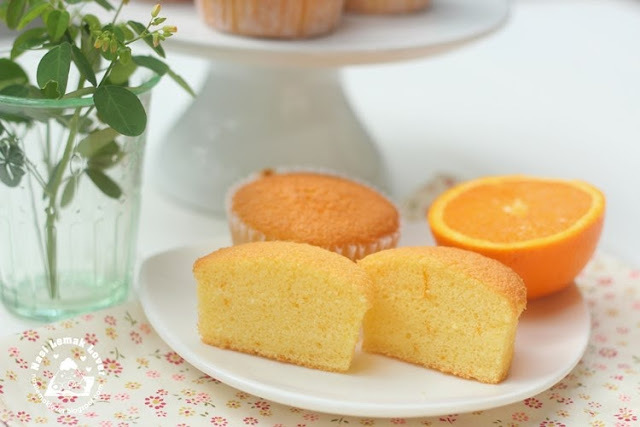 I made this light sponge cupcakes the other day, using fresh orange juices. This is a type of cupcake has no burden to your body, light and less oily. Whenever we came down from Genting highland trip, usually we will detour to Ulu Yam Lama for a good Loh Mee, I think you might also did the same way. 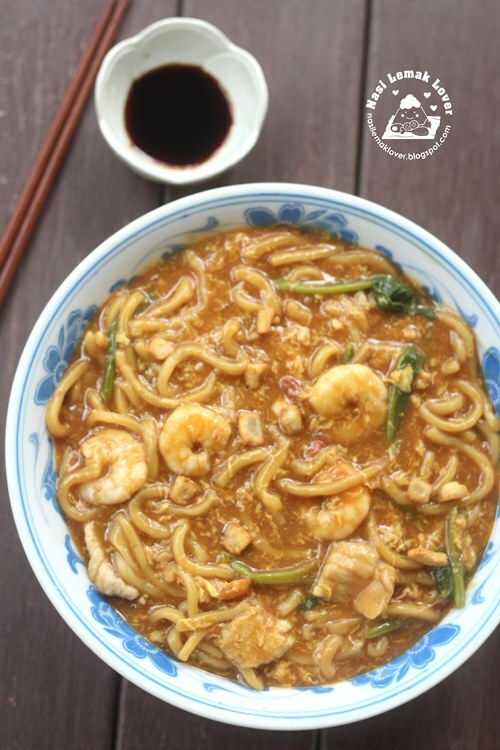 Here is a video talk about the origin of Ulu Yam Loh Mee, check it out if you know Chinese. Loh Mee is quite common in Tai Chou (noodles stall) in KL and Selangor, but Ulu Yam Loh Mee has slight difference as they pre-added dark vinegar into the soup. After I did the Chicken and Potatoes Curry Milk Buns, I have fall in love with this bread recipe. 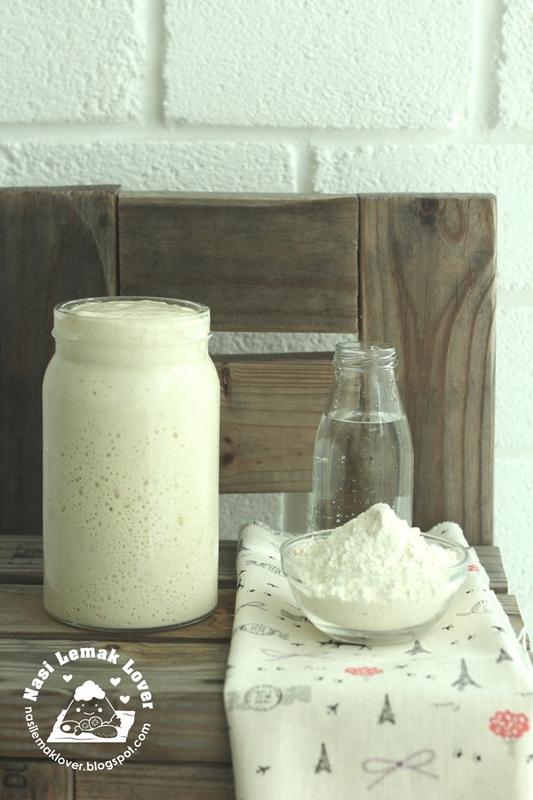 I continue to make two batch of breads using this recipe, one is plain milk buns or Kopitiam milk buns ( I was impressed with the softness of this bread again !!) and this chocolate milk buns as my kids prefer to have chocolate flavours. Nowadays we can easily see peoples selling Okonomiyaki in pasar malam (night market) , but I hope after this post, they are going to sell this Hashimaki or Okonomiyaki on chopsticks ^_^. 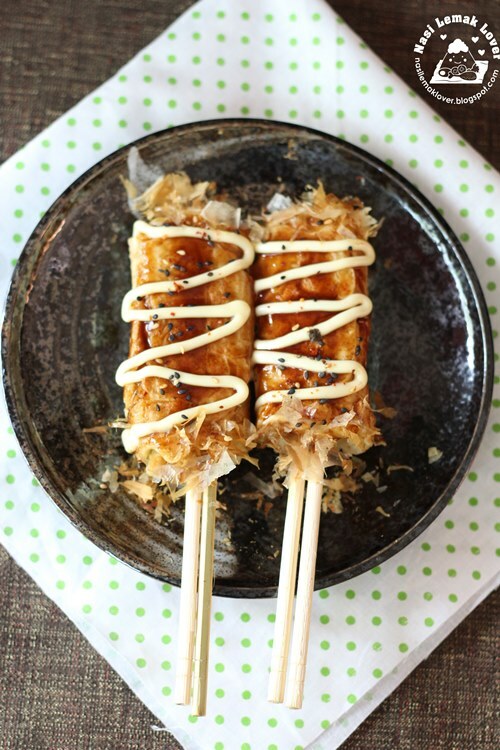 According to here, Hashimaki is a typical festival snack from the Kansai region, it is similar to Okonomiyaki. Therefore, it will also often called Okonomiyaki on chopsticks. Translated mean "hashi" = chopsticks and "maki" role or something rolled. 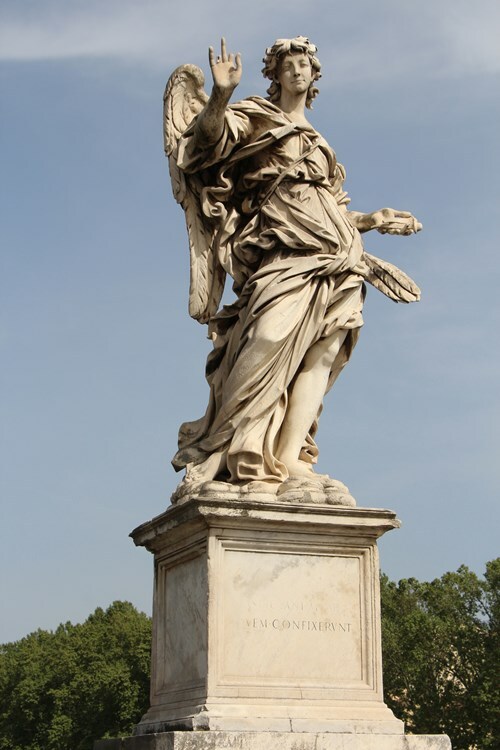 After we left Vatican museum , we continue our walk to Ponte Sant' Angelo, meaning the Bridge of Hadrian. 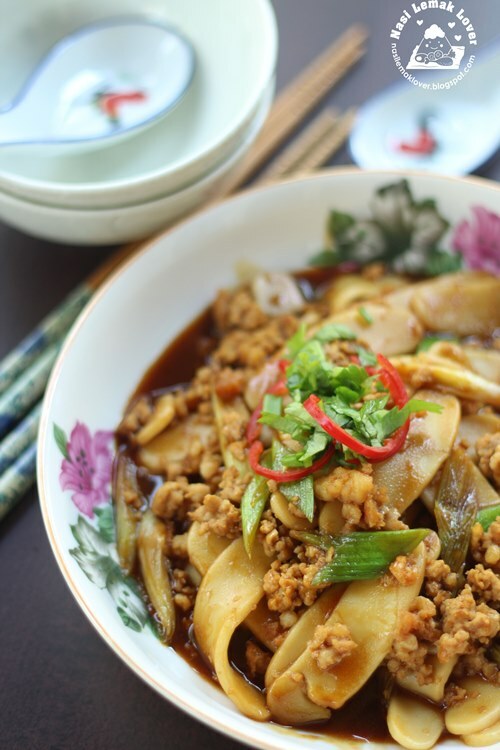 Beside Hokkien Mee, this stir-fried white rice cake also quite popular in "Tai Chow" hawker stalls in Selangor and KL. Hokkien people call this as "Char Pei Ker" . "Pei Ker" refer to white rice cake, and "Char" is stir fried. This white rice cake itself is plain and no taste, so we have to add other ingredients like meat and vegetable and seasonings to make it tasty. We love the QQ texture of this white rice cake after cooked. I just done this bun just now, but I can't wait to share with you, immediately post it here because this bun is so fragrance and soft !! I like to say in Chinese" 软和香到不行的面包" !! While the buns is baking in the oven, my whole kitchen is full of pandan aroma, smell so good !! My daughter again asked me to open a bakery shop ^_^ . This is another dish related to ginger. 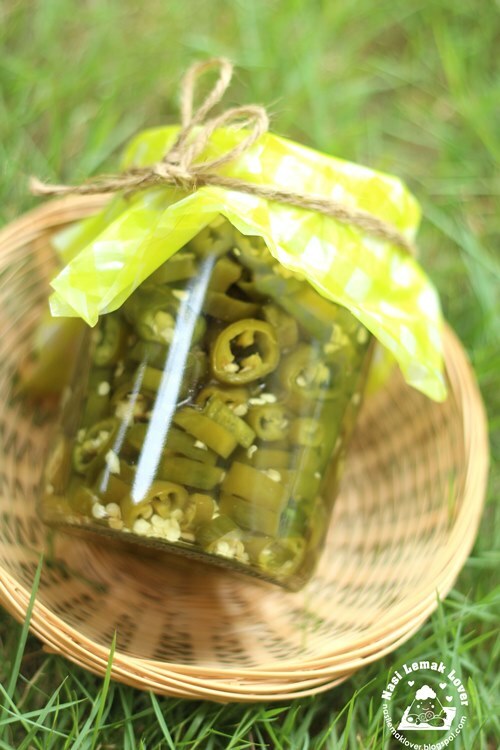 A cold salad with ginger juices. My family still not so keen eating cold salad while taking dinner. 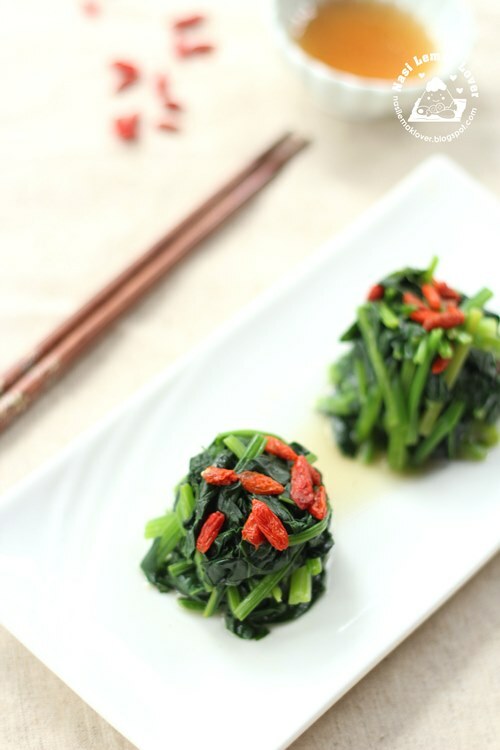 Wuxi (無錫) style of cooking although quite similar to Sweet and Sour style which taste sweet with a hint of saltiness. 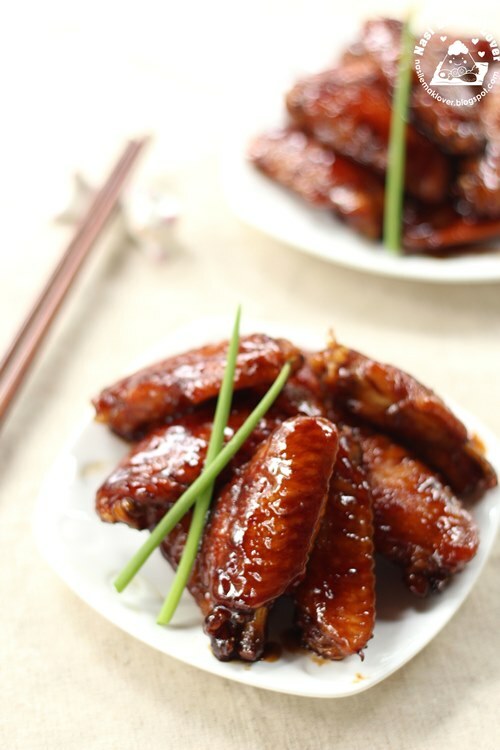 Sweet & Sour style is adding tomato ketchup whereas Wuxi style is adding Shao Hsing Hua Tiao Chiew wine which made the cooked meat has very nice wine aroma. Today also about tri-colours, but this time is kuih-muih (local cakes). 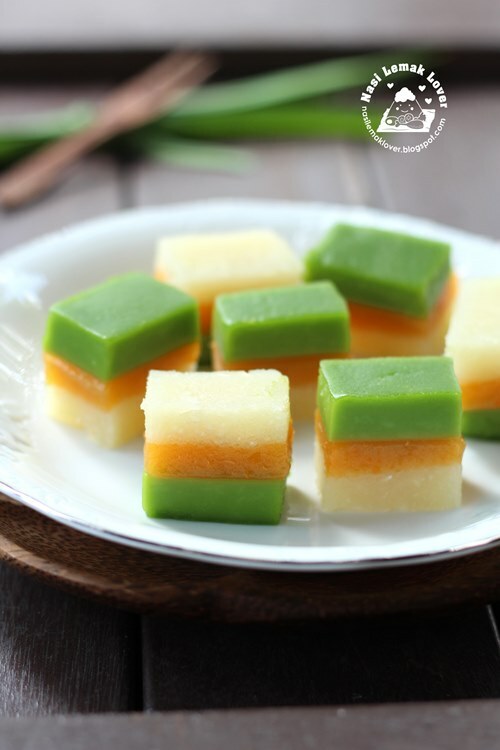 We like this very pure Kuih Talam Ubi, all using natural ingredients, green layer is made with pandan leaves (screwpines leaves), orange layer is made with sweet potatoes and whereas the pale yellow layer is made with tapioca. I feel this is also a perfect kuih to serve during Puasa month ( In few days time, our Muslims friends will be having Puasa). 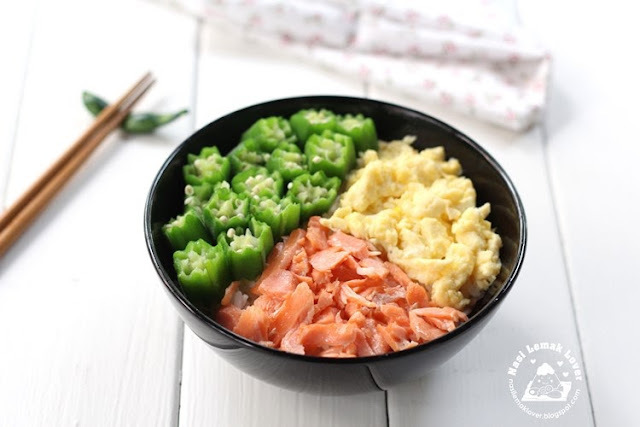 A colourful and healthy Tri-colours salted salmon rice, something that I will definitely cook again!! The other day, my daughter complaint that I have quite a while did not bake a cake. 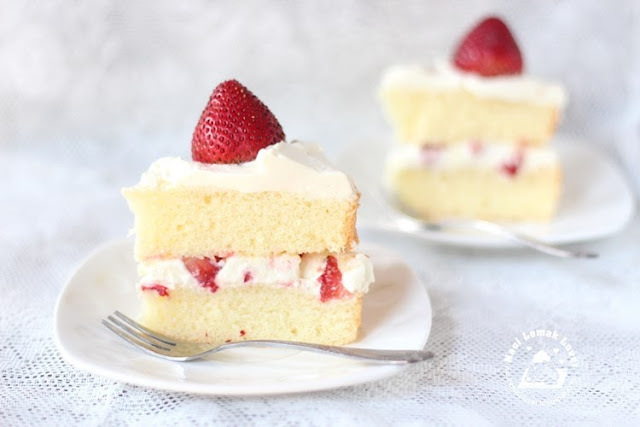 So I ask her to suggest an easy cake, she suggested Japanese Strawberry Shortcake. Since I have all ingredients on hand , quickly search for a recipe and immediate bake this cake for her. Japanese Strawberry shortcake is a layered sponge cake with strawberry and whipped cream filling and frost with whipped cream, and this cake is very famous in Japan.